In one way or another what is happening in procurement will shape your future sales success. That applies even if you don’t have to interact with procurement today. The reality is that we are all selling in the shadow of procurement. Have You Escaped Procurement Thus Far? They will often express relief or gratitude for the fact that their contact with procurement is limited and pray that this situation will continue. Even in selling to organizations where procurement is established there is more than a 33% chance of not having to go through the function. That is because procurement’s coverage of total spend, while rising steadily, is only at the two thirds mark. How much longer will you be able to avoid procurement? However, if you are not dealing with procurement today you have to wonder how much longer that will last. You also have to look out for procurement playing a more subtle behind the scenes role. 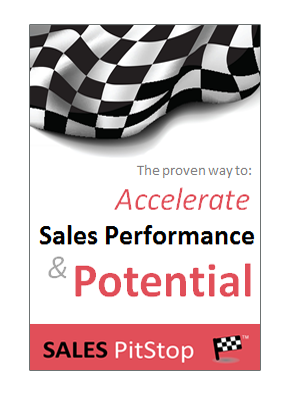 The time is running out for those sellers who don’t have contact with procurement in the process of winning the sale. – Could procurement be playing a more subtle ‘behind the scenes’ role – guiding, informing or overseeing the decision? – Could procurement suddenly appear out of the blue? For example making a surprise appearance at the negotiation stage? – Has procurement got its eyes on your category – biding its time before it gets involved? – Are managers and their departments subject to procurement policies and procedures? Is procurement waiting poised to get involved in how the organization buys what you are selling? There are many ways in which procurement can impact on your sales success. Some of these may not be obvious to the seller. Even though procurement may not be in the room, it could have an ‘invisible hand’ in the decision. With this in mind let us examine some of the ways procurement can influence the buying decision and thereby the sale. – Negotiating with potential suppliers and so on. 3. Shaping the background against which the decision is made. That includes the culture of the organization in respect of how buying decisions are made and suppliers are chosen, as well as the approach to negotiations, supplier performance and so on. Which of the above describes procurement’s present and potential future approach to what you are selling? Just because an organization doesn’t have a powerful centralized procurement function doesn’t mean that procurement doesn’t matter. Indeed to see procurement as a function is to miss the point – to overlook its greater significance. That is because procurement is not just a function – it is an ethos. Have you noticed any evidence of procurement’s ethos spreading through your customer’s organisation? Procurement’s ‘buy better – spend less’ mantra is ringing loud throughout the organization. It is coming not just from procurement briefings and memos, but from such unlikely sources as; the CEO and the CFO. That makes it difficult for any manager to pretend the message has not been heard. In an era of tight budgets, competing projects and stalled decisions, managers are increasingly accountable for their decisions. Procurement is not just a function it is organizational mindset. It is the business philosophy and science of effective decision making in respect of projects, purchases, partners and suppliers. Does winning the sale rely on any old attitudes or entitlements on the part of your buyer? The focus is on cutting costs, better value, increased responsibility and improved decision making. It entails a Darwinian attitude where competing suppliers, purchases and projects must compete for resources and where managers are increasingly accountable for their spending. – when it speaks others listen. If procurement matters to the organisation, it matters to you and to all its would be suppliers. It’s agenda is that of the CEO, or CFO and it impacts on all major buying decisions. Even if you are not selling to procurement the procurement agenda in one way or another will impact on your future sales success. Procurement cannot be avoided, because it is not just a function it is a way of doing business. Procurement is a by-word for a shift in organizational culture and decision making in respect of projects, purchases, suppliers and markets. That is to say best in class procurement is a mindset, a discipline, a philosophy One that transcends borders, departments and functions. Its direct and indirect influence over what is bought can only continue to rise. That means sellers must be prepared. So start selling today as if procurement was seated at the opposite side of the table. 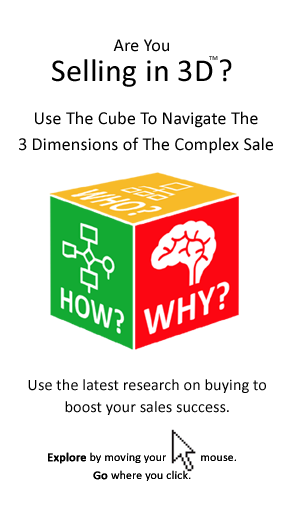 Help the buyer to set out and follow a process and to put increased rigor around the decision. Maybe then when procurement does show up, it will be happy with what it sees and leave the status quo alone. One way or the other you will be ready.